Anyone looking for a rather more leisurely day out can enjoy a romantic ride in a horse-drawn sleigh or carriage, exploring the idyllic side valleys or the spectacular landscape of frozen lakes along the way. No form of transport is better suited to the wintry fairy-tale Val Roseg than the horse-drawn sleigh. Snuggle up in blankets and furs and enjoy the beautiful glacier views! 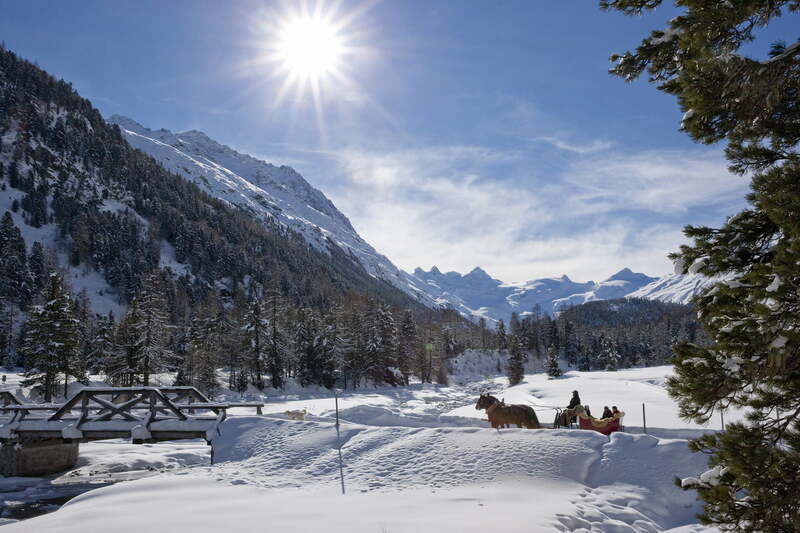 The most romantic way of experiencing the spectacular Engadin landscape. Enjoy a romantic ride in a horse-drawn sleigh, snugly wrapped in warm blankets.